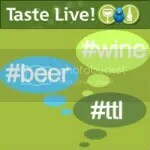 I wrote last week about how all my thoughts turn to white wines during the DC spummall. That’s not totally true. My thoughts also encompass grilling out and bbq and all those good things. Usually to go with that kind of food, you’ll still find me reaching (as fast as I can!) for a nice spicy Zinfandel. 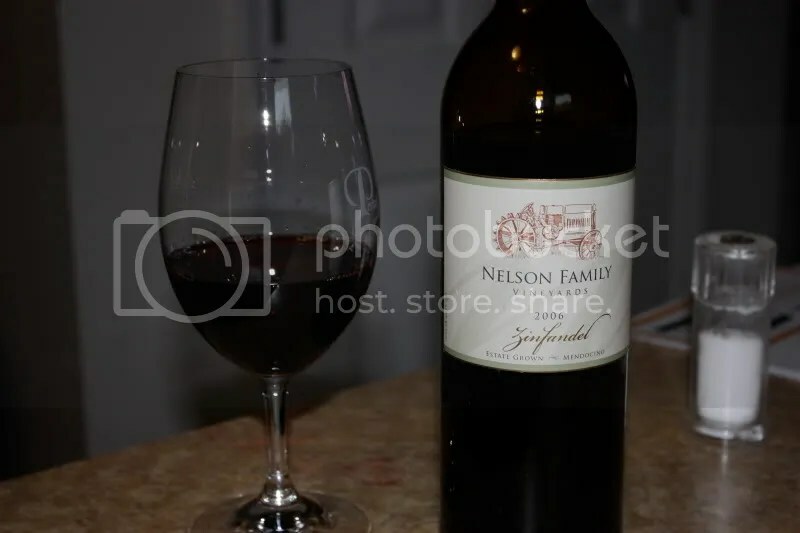 We pulled the 2006 Nelson Family Vineyards Zinfandel from our basement tonight to go with the ribs I made. Mmmm. Ribs. I think it cost me around $19 in a club shipment, had a real cork closure, and clocked in at 15.7% alcohol by volume. My first thought on sniffing this Zin was that it seemed pretty port-like with deep dark blackberry aromas and the stronger alcohol. It definitely needed some serious time to air. I also got cream, pepper, spice, and more brambly black fruit. In the mouth I found blueberries, blackberries, spice, pepper, and earth. 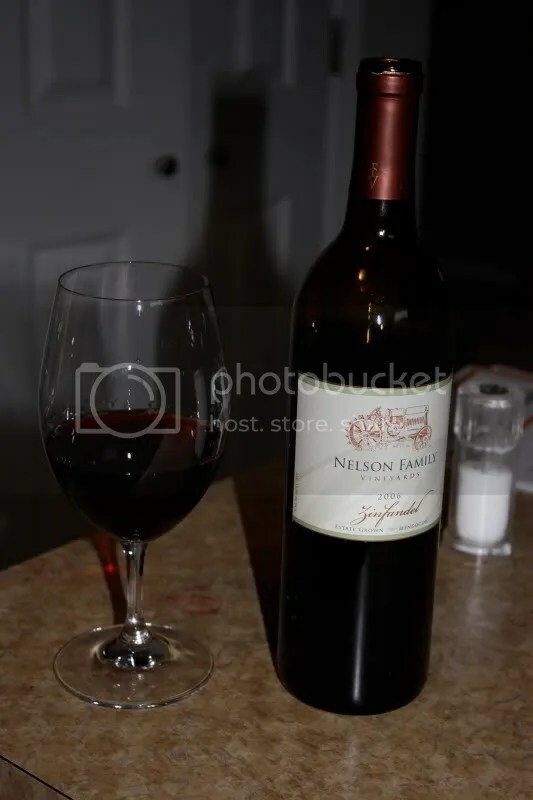 Overall I found this to be a big, tight wine that really needed to be decanted for a couple hours.